Sunday is Mother's Day. I'm a big fan of history, so decided to look into the history of Mother's Day. 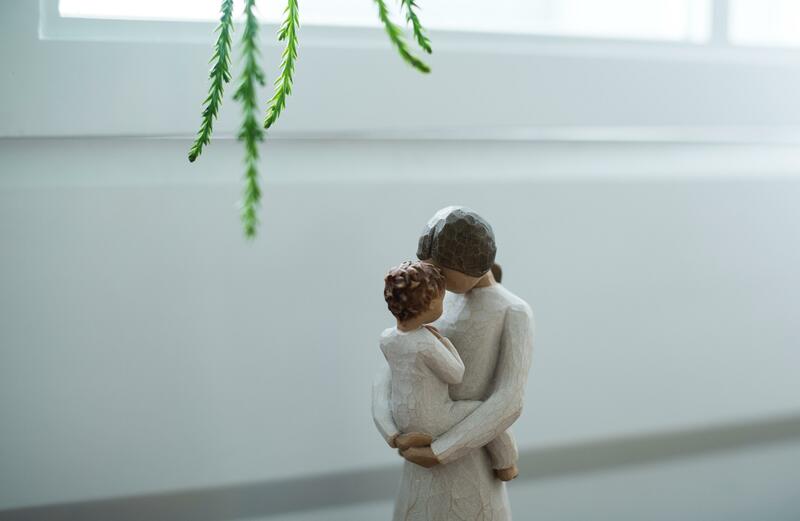 Even though the idea of a special celebration of our mothers dates back to Roman and Greek celebrations of the mothers of the gods, the United States didn't formally recognize Mother's Day until 1914. And there has been a little controversy, as hard as that is to believe. The oldest acknowledgement of a "mother's celebration" in modern times is a tradition in the European Christian church. The fourth Sunday in Lent was a festival known as "Mothering Sunday". There would be a special service and you were expected to return to your "mother church" - the main church in the vicinity of your home or village. The Puritans of the United States decried many of the European Christian traditions, so it was never popular here. Over time, various organizations promoted motherhood and would celebrate mothers during special events. A woman named Ann Reeves Jarvis of West Virginia helped set up "Mother's Day Work Clubs" prior to the Civil War to teach local women how to care for their children. These groups were instrumental in promoting unification in the years after the Civil War through mothers. Anna Jarvis, Ann Reeves Jarvis' daughter, conceived of the idea of a national Mother's Day following the death of her mom in 1905. She wanted to honor the sacrifices that mothers make for their children. Her first organized Mother's Day celebration was at a Methodist Church in Grafton, West Virginia in 1908. One of the financial supporters of her effort was a Philadelphia department store owner who also promoted the day and saw thousands of people attend an event at his store. After the success of the first event, Jarvis went on a national campaign to create a formal Mother's Day holiday. By 1912, she had founded the Mother's Day International Association and many towns and states had adopted the holiday. Finally, in 1914, President Woodrow Wilson deemed the second Sunday of May as Mother's Day. Ironically, once the day was officially recognized, florists, card companies, and retailers began promoting it, against the wishes of Anna Jarvis. She had envisioned the day as a personal one between mothers and their families. She felt that the holiday had been taken over by "profiteers" and spent the rest of her life encouraging people to stop buying Mother's Day flowers, cards and candies. She even filed lawsuits against companies for using the name "Mother's Day". Despite her efforts, Mother's Day has become one of the busiest days for florists, only behind Valentine's Day. So this weekend, try to honor the mothers in your life not only with cards and flowers, but by your time. If you can't be there with your mom, call her and let her know how much you appreciate her and the sacrifices she made for you. And keep the candies for yourself - Anna Jarvis wouldn't want you to give them to mom. Ha, ha! Happy Mother's Day to all of you moms!